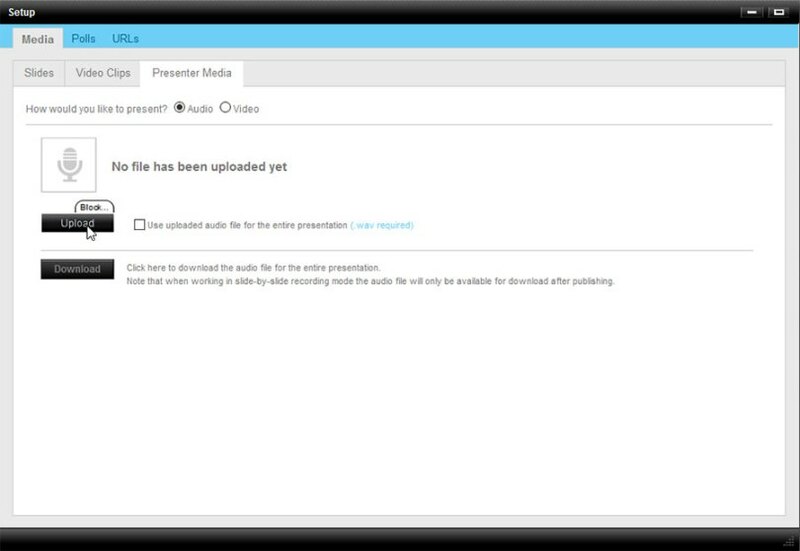 As a Webcast Elite customer, you now have the functionality to create online presentations within your existing account. With this new capability, you have the option to use external audio for your webcast’s audio track, an alternative to recording the audio over the phone. Webcast Elite offers the flexibility to choose the audio option that’s best for you. You can enjoy the speed and simplicity of recording the webcast audio slide by slide over the phone or you can choose to upload an audio file that’s already been edited for ultimate clarity and fluidity.